MEET BLUE!! Blue is a 4-month-old pit bull puppy. He is named after his blue eyes and shiny blue coat. He’s a little shy at first, but warms up very quickly! He is truly a happy pup that constantly wags his tail. He’s such a sweet dog, and he gets along well with other dogs. He tends to be on the calmer side. Blue loves attention and constantly seeks to be pet. He loves cuddling and will crawl into anyone’s lap despite his size! He’s still getting his training down, both commands and potty training, but is learning very fast. He is crate-trained and does well in it. 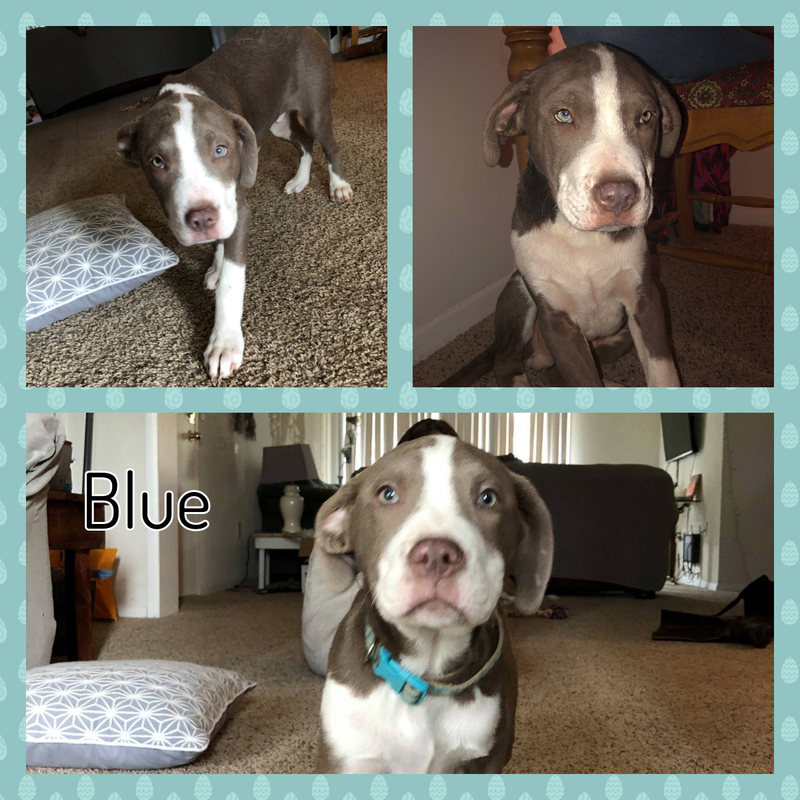 Blue will have basic medical treatments done before adoption is finalized, but we are accepting applications now so Blue can go to his furever home as soon as he is ready!